Difficulty level: Easy trek, Can be done by anyone if you are relatively fit- walk or do some activity regularly. You're good to go even if you start walking regularly in the lead up to the trek. We will be happy to consult you on this. ​Suitable for children? Yes, kids of all ages. We recommend certain extra logistical support if you plan to bring really small children. Do get in touch with us for advice on this. 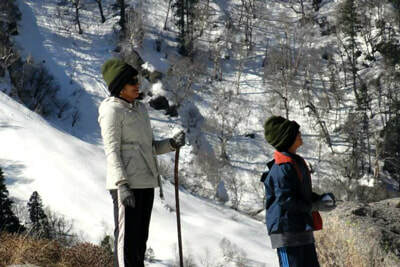 Is it a good option for first time trekkers and families? 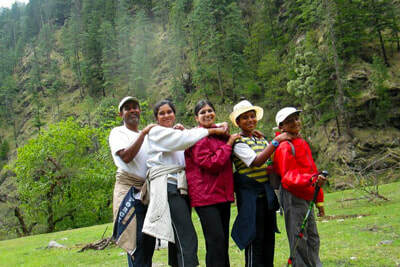 : It is a very beautiful trek and is recommended for families. However, since the trek is mostly done during the monsoons, the conditions can typically be damp so please be prepared for that. We recommend other treks that we feel will be more enjoyable for first timers, please get in touch with us for the same. Not much needs to be said about the Valley of Flowers trek. It is one of very rare treks that has a space dedicated to it on Wikipedia and rarer still, a place among the UNESCO World Heritage Sites. The name rightly suggests that it is a Valley full of Flowers and the spectrum of colors on display is unreal when you go there between July and September. Price range for a fixed departure/custom group with 4+ people: Trek cost is in the range of Rs 1500 per person per day with budget facilities(triple sharing in budget hotels, around 2,500 per person per day with premium facilities recommended by us-typically more enjoyable(double sharing in decent quality clean hotels. Do get in touch with us to discuss what is more suitable and enjoyable for you. The name rightly suggests that it is a Valley full of Flowers and the spectrum of colours on display is unreal when you go there in months between July and September but you already know that. Photographs we find on the internet showing a carpet of flowers in a rainbow of colors are infact real and not an exaggeration or a product of Photoshop. The Valley has over 300 different species of flowers that have been identified and each of these are in full bloom during the season. To quote a traveller "During each of my visits, the Valley was always the same but it was my own mind which gave a different picture during each visit". There is certainly a magic to this Valley, but we will just leave it to you to find that magic. 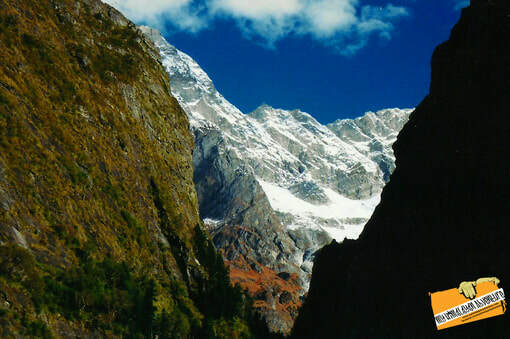 If you are looking for a peaceful wilderness getaway where you don't want to encounter people, you should look at some of our other treks.In 2010, about 7,000 people visited the Valley and about 5 lakh people visited Hemkund Saheb. This figure will probably touch 10,000 in 2012 for Valley and about 95% of these people visit between July and September. Doing the math nearly 100 people visit Valley of Flowers everyday and multiple thousands visit Hemkund Saheb. So you will encounter a lot of people on the trek. Visit it for the beauty of the place but not to get away from people. Since the main season lasts little over 3 months and because of the sheer number of people that visit, the rates of almost everything is about 2-3 times more than rates at any other treks. This includes carrying costs, food and stay costs and even travel costs and while any budget can be met by compromising on quality, for a decent quality trip with comfortable and clean stay, food and transport, you will need to spend money similar to the cost of one of our Mountaineering Expeditions. 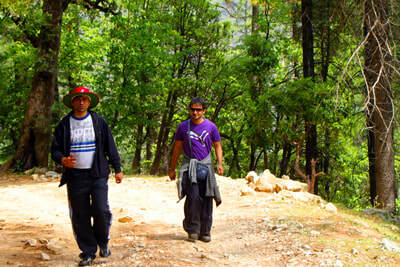 The total trekking days are 4 where you trek from Govind Ghat to Ghangria and setup base there. Trek to Valley of Flowers and return to Ghangria second day and trek to Hemkund saheb and return to Ghangria on the third day. The nearest Railway Stations with regular trains are either Dehradun or Haridwar both of which are about 300 km from Govind ghat. During the trek you will reach a maximum altitude of about 4,300 mt. All in all a six day trek from Haridwar to Haridwar. Add a short 4-5 hour train journey if you are from Delhi and another 2-3 hour flight if you are from Mumbai/ Bangalore or another city and you have an experience on your hands.. When combined with your weekend holidays, you need to take about 2-3 days off from your workplace for this experience. This trek is great as a family outing as well since the trek is moderate in difficulty and we organise stay in eco lodges throughout the trip. Typical itinerary for Valley of Flowers. This can be customized to increase/decrease the number of days. Leave early from Dehradun/Haridwar and drive to Govindghat. After Rishikesh the drive turns hilly. You will be driving along the Ganga and then the Alaknanda River. This makes it a very scenic drive and the numerous confluences only add to the beauty. Bhagirathi meets Alaknanda at Devprayag and forms Ganga. 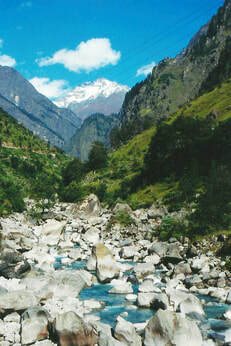 After some time Alaknanda meets Mandakini at Rudraprayag, Karnaprayag- Alaknanda & Pindar River, Nand Prayag- Alaknanda and Nandakini River & Vishnu Prayag- Alaknanda and Dhauliganda River. All of these offer not only mythological significance but also beautiful views and also a realization that you are in one of the most important geographical regions of the country as these form some of the most important rivers on the country. The drive can get tiring as it is a long drive to reach Govindghat. Night at a hotel in Govindghat. 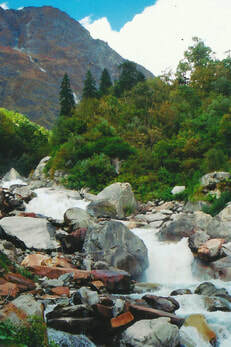 Govind Ghat is the starting point of the trek to both Hemkund Sahib and Valley of Flowers. We follow the Pushpawati River which originates from Valley of Flowers. The trek is mostly a gradual ascent along a well maintained trail to Ghangaria and in season you will encounter plenty of trekkers headed towards Valley of Flowers and pilgrims headed towards Hemkund Sahib. Ghangria is a well-populated stopover. On arrival check into a hotel in Ghangaria. Trek to Valley Of Flowers (3858 m) from Ghangaria. Gradient is moderate and the landscape soothing to the eye. It will take about a couple of hours to reach the valley. The valley is a beautiful sight with and you will see carpets of flowers there. Over 300 varieties of Flowers including Geranium, Marigold, Braham kamal, Rhododendrons etc. Most of the flowers have medicinal values too. The valley is 10 km long, 2 km wide, and the trek is mostly gradual. The Pushpawati River originates from there. Spend the day in the valley and return to rest house in Ghangria by evening. A very steep 5 km trek takes you from Ghangria to Hemkund Saheb, of mythological significance as it is thought that Guru Govind Singh and Laxman meditated there. The Gurudwara is located on the banks of a beautiful lake, the trek is very steep and is sure to test your stamina and endurance. The lake is surrounded by wild flowers. Pilgrims take a dip in the freezing cold waters of the lake. Hot tea will be served in the Gurudwara (Shrine) before retracing steps to Ghangharia. Stay the night at a hotel in Ghangria. Trek back to Govindghat. Badrinath is a beautifu (optional) l destination to visit as it is a 1-2 drive from Govindghat it is a beautiful temple town with religious significance as one of the four dhams of Uttarakhand. We can incorporate this into your itinerary as well. Overnight we stay in rest house at Govindghat. 1) Are you comfortable with road travel in the mountains? Mountain roads are normally quite windy and twisty, occasionally bumpy and for those who are not used to mountains roads, drives may be uncomfortable. Keep this in mind while choosing your trek and while planning your itinerary. If you are uncomfortable with long drives and think you may get motion sickness, then you could plan a trek with a short travel time in the mountains, or you could look at splitting your travel time into extra days, if not then there are certain suggestions such as taking a car with a low body-roll, homemade remedies that have worked for us such as keeping a candy in your mouth etc. The drive to Govindghat which is the base for this trek is quite a long journey- around 7-8 hours of driving in mountain roads. If you are comfortable with long drives then that is fine, if not then think of alternatives that we have suggested above. In case you need our help and guidance, do get in touch with us and we will be glad to help. 2) Are you looking at something leisurely or something challenging? Leisurely treks have well marked trails, have between 2-4 hours of trekking a day and can be managed without much difficulty. These are better for beginners or those who come with the intention of enjoying themselves more than exerting. Challenging treks can have difficult terrain, 6-7 hours of walking a day, go to high altitude an therefore have to plan their itinerary very well so that their body is well acclamatized. They not only require a high fitness level but high mental endurance. On less challenging treks we are also able to offer better facilities because carrying things up is easier and less expensive. Facilities get more basic as the trek challenge levels go up because carrying additions gets harder. Typically, if you want your first taste of the mountains and Himalayan wilderness, then we recommend a more leisurely trek and you will enjoy that trek much more. Too much challenge first time may put you or your family off. Take is slow is what we suggest. Start with a leisurely trek where you aren't that exposed to the extremes, can spend more time at camp with your loved ones, enjoy the great food, the scenery, walk around, click photographs, play some games etc so that you soak in the experience. On challenging treks you are likely to be too tired to do most of this stuff. 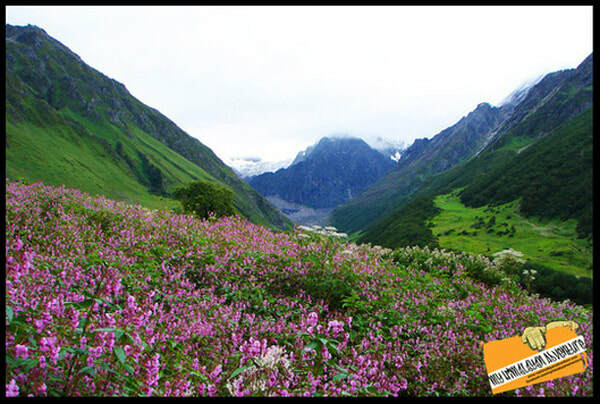 The Valley of Flowers trek is somewhere in the middle of leisurely and challenging. On the first day you will walk 4-5 hours, on the second day about the same. If you want to do Hemkund Saheb, prepare to get tired as that is a steep trek, though you can skip that as well since you anyways have to trek up and return to previous camp. You can not stay the night there. 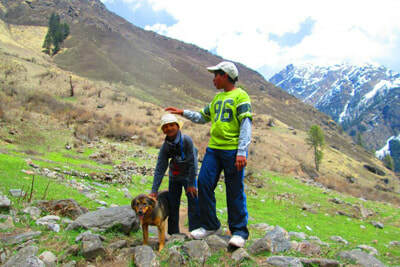 Are you coming with a family/young kids who you want to initiate to the Himalayas? On similar lines with our previous point. If you are coming with family/trying to initiate your children to the Himalayas, the first experience should not be to difficult that puts them off. Keep the first experience light which gives them limited exposure where they are spending more time enjoying their surroundings. The Valley of Flowers is not our most recommended in this case but it can be recommended. The distances can be managed. But the issue is that you do this trek in the monsoons which means you are likely to be damn and wet. Unlike other treks where you enjoy the campsite with a bonfire at night, during the day the sun changes the mood. For these reasons, Valley of Flowers is probably not our first in recommendations, but it is a good option nonetheless. What sort of terrain do you like? Glaciers/meadows/forests/villages? This is a personal choice without any right or wrong answers. Some may prefer glaciers and base of mountains with permanent snow, others may want meadows and forests, others will want to spend time in local villages. In this trek, you will see more of meadows and forests, and of course the flowers in full bloom, but less of the others. 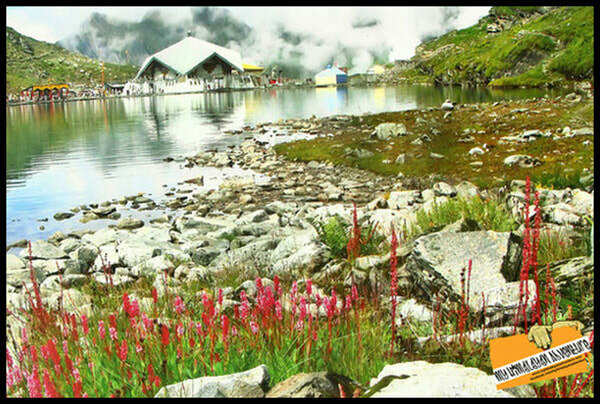 If you include Hemkund Saheb, you need 4 days of trekking time to finish that and Valley of Flowers. 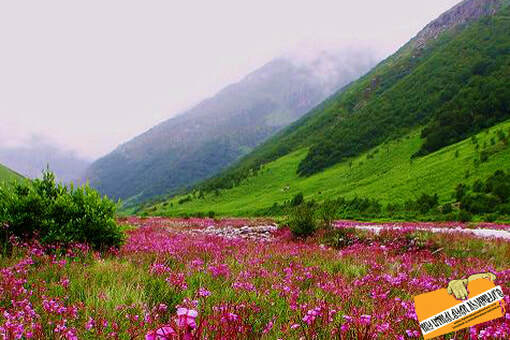 If you want to do only Valley of Flowers then you require 3 days of trekking time. Add 2 days of driving time for a comfortable experience so you require a total of 5-6 days. If you are coming from Delhi then you can do overnight trains and be back out spending any extra travel days ex Delhi. If you are coming from Mumbai/Bangalore then a combination of evening flights after office and night train to Dehradun/ Haridwar ensures the same for you. At the least you require 5-6 days. Combined with your weekend holidays you require 3-4 days off from office. The Valley of Flowers trek can only be recommended during July, August and first week of September as the flowers are in bloom only during that time. Trekking can be expensive. You are paying for your flights, booking a taxi to get to the trek base and then the trek. Because everything needs to carried up, because we have highly trained staff and include all facilities to make your experience enjoyable, there is a decent cost to trekking. While there are companies that are doing treks at low costs, there are certain compromises to quality that we do not make to our facilities, to the number of people we take in our fixed departures to ensure a personalized experience. We have mentioned the price brackets for the Valley of Flowers trek in the previous page, while we can do it at budget facilities, more premium facilities at a slightly higher cost are what we recommend because we have tailor made them to maximize enjoyment in the mountains. - A legacy of over 30 years in which we have led numerous record breaking treks and expeditions. Thousands of happy customers most of whom are beginners and less experienced. Very few can match our legacy and experience.